Bookishwanderlust | We travel not to escape life, but for lifee not to escape us. We travel not to escape life, but for lifee not to escape us. 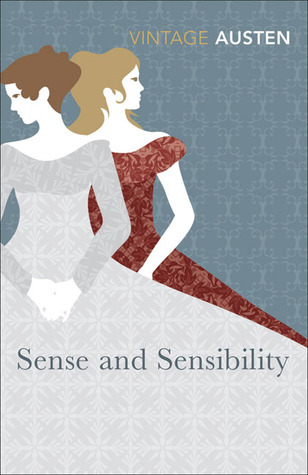 Sense and Sensibility is the first novel of the English author, Jane Austen which was published in 1811. It starts of with the introduction of Mr. Dashwood’s death. As the elder and only son in the family, John Dashwood and his wife, Fanny to have Norland Park. This causes the Dashwoods sisters and their widowed mother to be broke and move from Norland estate in which they grew to Barton Cottage in Devonshire, England. Although the Dashwoods is a big family of three daughters and one son from the first marriage, the novel focuses on the two: Elinor and Marianne. Austen’s story centers on the society, social status, marriage, love, family, money, and values of 19th century London. It was set mainly on Sussex and Devonshire England. Marriage is the most important aspect in this book. The annual income of a person and if the two person is a good match or not are both factors to b determined before marriage. It’s not always love. Marriage in 19th century is political, economical , social, and alliance between two families. Austen’s depiction of femininity and values from 19th century women is completely different from the ones we knew. Underneath those fancy dresses and eloquent language, reveals a wise, sensible, and inexorable character. Elinor is the older daughter than Marianne. She’s sensible when it comes to love and marriage. She’s logical and practical when it comes to love and choosing who to marry. When it comes to the family, she’s the one to shows a strong character and comforts the Dashwoods in times of need. She doesn’t show much emotion and tries to hide it unlike Marianne who is fickle-minded, emotional on the outside and gets easily swayed by men in particular. For whoever men she meets, she gets winded up and be emotional invested without thinking about the person’s real character. Sense and Sensibility is a straighforward book. Austen’s writing flow easily and it’s one of the classics that is not hard to depict because it doesn’t use symbolism. Her works is famous for its heavy satire that’s clear on narration and focuses on the character building. In Pride and Prejudice, Northanger Abbey, and Persuasion it is clear how the story will end. In Sense and Sensibility, it’s one of the books that I get confused who are the characters will end up with. Austen puts us on the real world depiction of love. We cannot always choose who to end up with. It’s the unexpected person that comes. It takes times to see a person’s real character and intentions. I highly recommend Sense and Sensibility. It’s my favorite Jane Austen novel and Persuasion. If you haven’t started any classic novel and want to start one, Austen is a great way to start it. I’ve got Mansfield Park and Emma on my TBR list. It’s been months since I’ve last been active on this blog. I haven’t read any books since January because I’ve been busy due to Thesis, graduation, and unemployed life. Luckily, this november I was able to catch up to the 14 books behind schedule on my Goodreads challenge plus let myself immerse between the pages of books. I’ve read a total of 25 books this month. I was also able to do a 24 hour readathon challange with my friend Joana from November 22 10pm to November 23 10pm. At that time, I’ve read a total of 5 books within a span of 24 hours. The Favorite Book I’ve Read this months is the Crazy Rich Asians trilogy! I also love the movie! It lived up to all my expectations while reading the book. Too bad I wasn’t able to attend Kwan’s signing here in PH. I’m hoping to write a review about the book soon! I’m hoping to read more books and be updated on this blog this December! I’m currently reading Circe and Tess of D’Urbervilles. Alzheimer’s Disease is a serious problem and not a normal memory loss due to aging. The vast majority of it are elderly starting from the age of 65 but it has been discovered that early onset could also be affected. Early onset disease are those who have Alzheimer’s under the age of 65. It typically attacks people who are in their 30s, 40s, and 50s. It a gradual progression and deteriorates the memory and body function until the severe to fatal stage. An emotionally gripping book that’s completely different and nothing compared from the regular melodramatic Nicholas Spark that didn’t discuss fully how Alzheimer’s disease could ruin a person’s life. Still Alice describes how Alzheimer’s disease gradually progresses and deteriorates starting from simple forgetfulness, personality change and long term memory loss. It was written in a perspective of Lisa Genova, a neurologist. This book is informative and full of scientific descriptions. It gave readers a whole new perspective on what is really an Alzheimer’s disease. Alice is a neurologist and Harvard professor. A woman in her 50s that’s suffering from early onset Alzheimer’s disease that’s genetically acquired. Forgetting family members, friends, and even herself as the progression of the disease is haunting especially during the ending. Reading this book is an eye opener. It gave me a perspective on how a terminal disease could ruin not only a person’s life but their family and friends. It is well-paced, thought provoking, emotional, and inspiring. It made me emotional from the halfway until the end. The main reason I read this is for my thesis paper. I want to put myself in the perspective of someone who is starting to have the disease. What is really happening and how the memories destroy a person’s life. I highly recommend this book for someone who wants to read an inspirational and moving book. Injured and on the run, it has been seven days since June and Day barely escaped Los Angeles and the Republic with their lives. Day is believed dead having lost his own brother to an execution squad who thought they were assassinating him. June is now the Republic’s most wanted traitor. Desperate for help, they turn to the Patriots – a vigilante rebel group sworn to bring down the Republic. But can they trust them or have they unwittingly become pawns in the most terrifying of political games? “He is beauty, inside and out. He is the silver lining in a world of darkness. Prodigy is the second installment in the Legend trilogy. After June and Day escaped from Los Angeles, we follow their POV as they join the Patriots and assassinate the new elector, Anden. Prodigy is jam packed with actions and emotions that will grip you from the beginning until the end. This book started after the events of Legend in which John, Day’s brother died and June and Day escaped from the horrors of the Republic. There are a lot of questions left unanswered and left me lost and clueless. I began to question the society and future. What if this will be the kind of government for the future generations? What if this will be the future Los Angeles? I cannot fathom the world in which our grandchildren will live in. I have read a lot of Dystopian books to know that this trilogy is one of the best I have read so far. Marie Lu’s writing style is phenomenal. The world building and the major and minor characters are so believable. I’m completely hooked especially with June and Day’s character. I feel connected with June. I know there are a lot of decisions she need to make despite the circumstances but her character came out too strong and independent. Both major characters executed a well developed characteristics compared to the first book which I admired. I was too impressed because most of the second book in the trilogy in most YA books came out to be fillers or boring but this one isn’t. I thought I will get too annoyed with the same plot that we see in most Dystopian books but Marie Lu’s writing is impressive and unique. A fast paced and one sitting book that will surely make the readers flew through the pages. It is jam packed with actions, heart wrenching scenes, twists and turns all throughout the book. I highly recommend this to readers who wants to have an emotional roller coaster ride. It is definitely worth it. All of Marie Lu’s writing is highly recommended. I gave this a 5 out of 5 stars on Goodreads. Holding Up The Universe is the second young adult book written by Jennifer Niven. It’s raw, poignant, inspiring, and well-paced YA contemporary that talks mainly of finding yourself, mental illness . I’ve been seeing this for awhile on Goodreads and Bookstagram. I have a high expectation for this one because I enjoyed reading All The Bright Places. To be honest this lived up to the hype. It’s a light-hearted read compared to the depressing All The Bright Places. Libby Strout is known as “America’s Fattest Teen”. Even though she’d been bullied for how she weigh, it didn’t stop her to feel confident about herself. Jack Masselin is suffering from prosopagnosia a rare kind of disease or sometimes called face blindness. He cannot recognize his family, friends even his own self. He has no friends and doesn’t want to get close to anyone. Until he met Libby Strout and everything changed. The story opens up to all bullies and being bullied about how they look and basically about mental health issues. Even though I’ve never experienced what Libby had been through, I can still relate to her character. She’s inspiring and her character development is too strong. Through Jennifer Niven’s powerful writing style, the story is so real and believable. I’ve heard a mental illness of prosopagnosia from a Kdrama: Girl Who Sees Smell but the character in it is the antagonist. I was hooked when I’ve read the synopsis and knowing it’s about a fat girl being bullied and falling in love with a guy suffering from prosopagnosia. This was recommended by my friends and I’ve been seeing this on Goodreads and Bookstagram. Overall, I find the story is quite boring, slow paced at the beginning and lacking sometimes . This lived up to my expectations and to the hype. I recommend reading this to all readers who love reading YA contemporary. It is difficult for a book hoarder like me to check out online stores on Facebook and Instagram and look for a cheaper price of books. Going to bookstores like Booksale and National Bookstore especially if it is on sale this month is a lot difficult because I couldn’t go out without buying 1 or 2. Here are the books I’ve hoarder this month of March! I bought some of it from my friends. I bought 4 books from my friend for a cheaper price and this is one of it. I only read Time Keeper when I was in High School and I’ve been wanting to read his works especially this one. This is my current read and I love the story already! This is my first time reading the works of Charlotte Bronte. I head a lot of great stuffs about this book. I haven’t even read Wuthering Heights yet. Ever since I’ve read Between Shades of Gray by Ruta Sepetys, I’ve been hooked into reading Historical Fictions. I’m looking forward to have a buddy read with a friend from Book Club probably next month. This is one of the books I’ve bought from my friend. This is on sale on Booksale for only 230 pesos! I couldn’t believe that this Hardbound copy is way more cheaper than my Paperback version of COLS. I have a Paperback copy of Lost Souls and read it 2 years ago. Now, I have two copies of it! I bought this for a cheaper price on Instagram. Even though it has yellow pages, the seller still haven’t read this one. The advancement of technology is changing our fast-paced world. We could all use the internet and applications to make out day to day lives more accessible. There are a lot of mediums today that we could use for reading books. All you need is search Google and download e-books. There’s no payment needed. Tablets, smartphones, Kindle, and e-readers has become a trend nowadays. Why not visit the local library or bookstore? E-books has also its disadvantages even though it’s much cheaper, easier to carry on the go, can adjust the brightness and size, read in the dark, and millions of books in one device. It’s also light compared to the huge size Hard bounds. It’s unhealthy way of reading because it can make eyes dry and blurry due to tiredness. People don’t realize that there’s pleasure in reading physical copies. Reading physical books can let us feel and smell the pages between the book. I know, carrying books is heavy and bulky especially Hard bounds. There’s nothing more satisfying than to see your books pile up on the shelf. Reading books is easier for the eyes and holding it can make you experience the story without distractions. No need to charge it unlike e-readers that uses electricity. Lastly, it relaxes your soul and takes you away from technology and social medias. The argument between E-book vs Traditional books has been debated on the internet for years already. There are people who are in favor with e-book and other with books. In my case, I read both on e-books and books. I’m in love with hoarding, collecting physical copies and even write reviews about it. I even go to signing and let the authors sign my books. It depends on the book that I’m reading. If it’s an auto-buy author and worth it, then I’ll buy the physical ones. I only read on e-books if I’m looking for a good book to read and to see if it’s worth it. In my case, it is a case to case basis. There’s no definite winner between those two. Whether you are a book lover or e-book reader it doesn’t matter what medium you use as long as you’re enjoying the book. What matters is the inside and letting yourself immerse to the world you’re in to.